Steven Salerno | Bentley Financial Group, Inc.
As part of a geographic expansion, in 2017 Steve joined Bentley Financial Group, Inc. 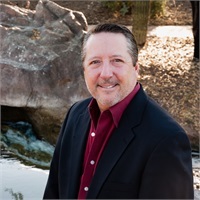 Located in Arizona, Steve has been a financial advisor for over 20 years. Early in his career, Steve spent 12 years in the Treasury Management Department of First Chicago Corporation and its main subsidiary, First National Bank of Chicago. In January 1997, he joined American Express Financial advisors and after 8 successful years, he decided it was in the best interest of his clients and moved LPL Financial in July 2005. Steve’s integrity and strong work ethic compliment the philosophy of Client First at Bentley Financial Group, Inc.